According to the Intergovernmental Panel on Climate Change (IPCC) regional climate patterns are about to change in recent future, which will impact the Baltic Sea region. Global climate models with a resolution of 100 x 100 km² are not able to reproduce regional climate effects since the resolution is too coarse. The use of regional climate models allows to take these changes into account. This allows a more accurate representation of e.g. 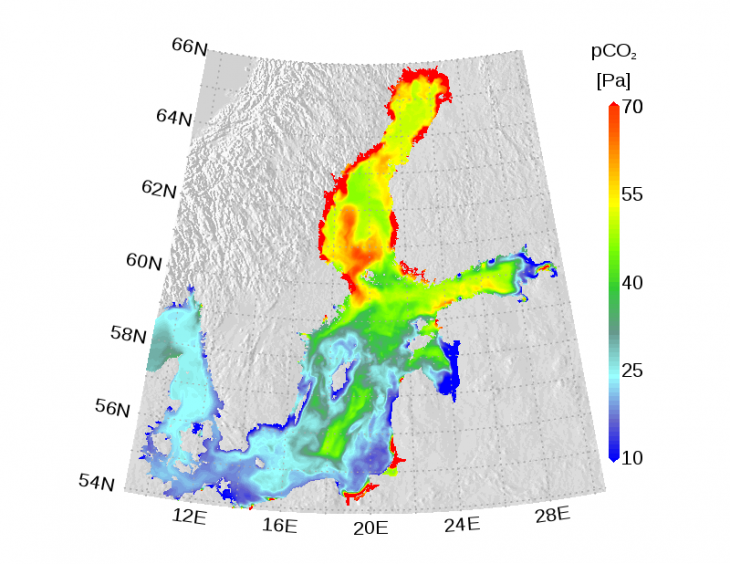 wind, temperature and salinity in the ocean. In addition to the physical parameters regional climate models are able to predict changes to the regional ecosystem too. Changes to the ecosystem are caused by both natural climate variability and human activities such as agriculture, industry and offshore activities. The focus of ecosystem modeling is to quantify the impact of these changes to the ecosystem. This allows to make predictions about the future state of the ecosystem, e.g. the oxygen content of the ocean. The working group "Dynamics of regional climate systems" uses regional climate models to investigate changes in the Baltic Sea region.